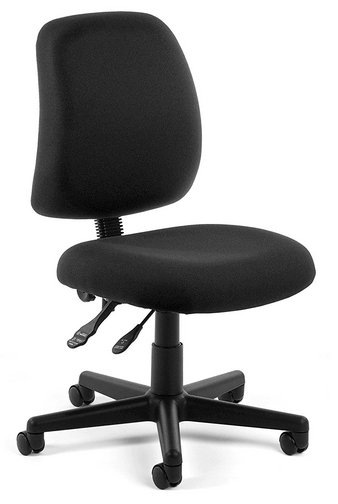 When you first see the OFM Posture Series Armless Mid Back Task Chair – Stain Resistant Fabric Swivel Chair, Black (118-2), you probably won’t notice anything major that stands out as it looks like the typical office chair you’d see in an office work environment but there’s a lot more to it than meets the eye. First of all, it’s one of the healthiest office budget chairs on the market right now because it’s made to help promote healthy posture and correct unhealthy posture habits. It’s a pretty solid and durable chair as well. While the OFM Gaming Chair is armless, we’re not sure how it would hold up for people who want to use this as a personal gaming chair, but it’s a great office or computer work chair. How high does this gaming chair sit from the floor? 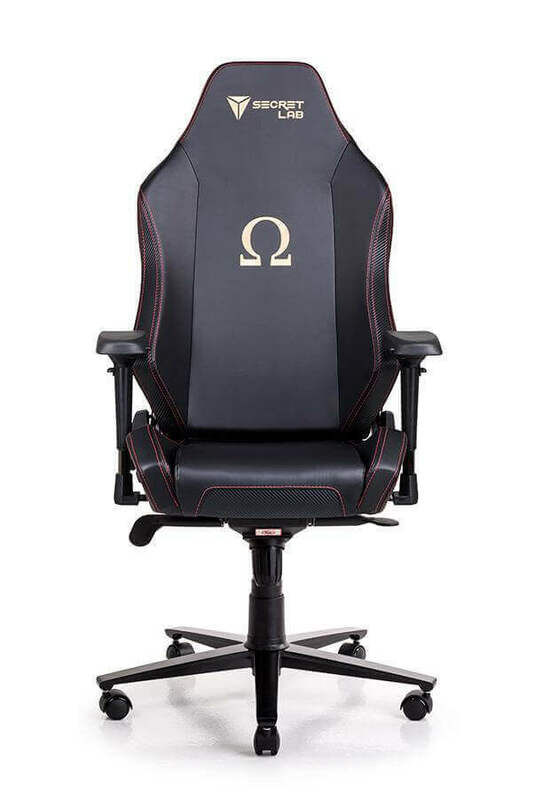 What are the OFM gaming chair measurements? The only thing that really stands out about the design of this chair when compared to other chairs is that it has more handles on the side than your standard office chair, which usually only has one. The back of the chair is a bit different though, as there’s a nice curve feature that helps promote healthy posture and spine alignment. While there’s a lot of this chairs that do this currently, there’s not a lot of chairs that reflect that in their design. The base is pretty standard and there’s nothing really too special about that, except for the material used for the base, which gives it 5-stars in terms of durability. Having a strong supporting base should be the foundation of any chair, right next to comfort which we’ll talk about in a second. This chair is overall highly durable and is built to last with solid construction materials. It’s also backed by OFM, which is one of the more reliable competitors in the chair market out there today. You shouldn’t have to worry about a weight limit as the maximum limit goes up to 250 pounds for this chair. Positive Posture Mid-Back – The back of the OFM gaming chair has a relatively large base and it’s made to promote positive posture. What this means is, when you’re using the chair for a long period of time, the back of the chair will support your back and reduce the stress that’s put throughout your entire body. Your nerves, blood flow and circulation will be improved in a chair with extra cushioning that’s designed in a way to help support your legs and back. Heavy Duty – The base of the chair is constructed with heavy duty weight resistant material that’s rated as a 5-star base. It’s extremely reliable, more so than most office chairs which aren’t as durable, aren’t as comfortable and don’t support nearly the amount of weight that this chair does. Compact & Small – While some may not like the fact that it doesn’t come with arms, there are some upsides to that. First, it makes construction of the chair a lot quicker the chair so you can get it up and running quicker than a chair with arms. Then, you have the overall weight, because the arms on some chairs can weigh up to 10 pounds or even more, so this makes the chair easier to move around and makes the overall size of the chair smaller. Ergonomic – Not just the forward-thinking design of this gaming chair but the posture supporting lumbar feature built into the chair makes it a completely ergonomic chair that’s not only comfortable but good for your health as well. This chair is all about convenience and isn’t so much on being fancy or flashy with a wild design or extra accessories that aren’t necessary, it’s all about necessity. The height seat of the chair is approximately 18.25 inches on the very bottom of the base and the thickness of the cushion is about 4 inches. Yes, this chair does allow you to recline but it’s mostly used for an upright position and it doesn’t feature any kind of locking mechanism to help you stay in your desired reclining position, but that’s not really a huge drawback because that’s not the main appeal of the chair. We assure you that this chair can fit a wide variety of body types and customers. This chair comes in at 18 and a half inches by 18 and a half inches, so it’s moderately sized. It’s not too large or too small. This chair is pretty moderately sized in terms of overall size but it’s a very comfortable chair for casual use and it’s great for long term seating. It’s not the best gaming chair there is out there but we suppose is could probably be used for that as well if you desire. The lean back mechanic tilting function is okay but it’s not the most comfortable we’ve ever had. The back support is amazing however which is the main appeal to the chair. It’s definitely worth the purchase and it’s really not that expensive of a purchase.